Nearly 4,000 association event managers and industry suppliers gathered in Pittsburgh from January 6 to 9 for the Professional Convention Management Association's 63rd Convening Leaders conference. They returned home not only with ample professional education but a solid dose of inspiration as well. First, marketing guru Seth Godin used the keynote slot to push planners to market their meetings to attendees and sponsors in ways that show the organization is listening to them. He stressed that associations must present compelling stories that emphasize how it feels to be on site, amidst all the energy of the event. Godin noted that when planners show attendees that "people like you do things like this" and that those things will happen at the event, the uniqueness of the opportunity will become clear and attendees will pay to attend year after year. 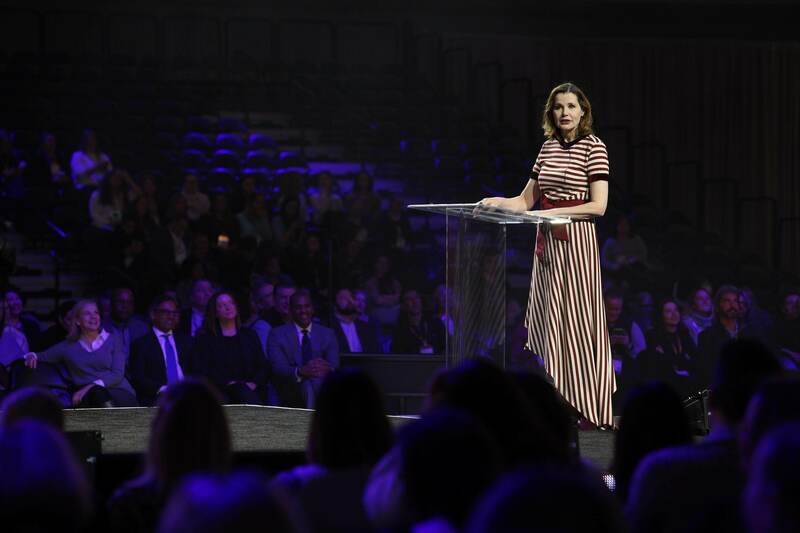 While Godin's presentation was business-focused, the talks by both Billie Jean King and Geena Davis centered on more personal issues, and the way those issues affect professionals as they advance through their careers. In a one-on-one conversation with Joe D'Alessandro, CEO of San Francisco Travel, on a stage surrounded by the audience, King talked about her struggle to bring about equal treatment of women in professional tennis in the early 1970s, at a time when indifference and outright opposition to that idea was strong. Her best advice for those looking to move ahead but facing active and passive opposition, particularly women: Be yourself and stand up for yourself, because people before you have cut the path towards equality and the opportunity should not be wasted. Geena Davis built on this same theme in her capnote presentation, pointing out the bias against women in Hollywood and other media channels, and emphasizing that both men and women must play a role in remedying the situation. “Data is the magic key” in building awareness of the problem, said Davis, who founded the Geena Davis Institute on Gender in Media 15 years ago to study how girls and women are represented in media and entertainment. She noted that research demonstrates that increasing the number of female characters playing lead roles in television shows and movies can create change in the real world, and change can come about from efforts in other industries as well. Underlining these themes, PCMA made diversity and inclusion one the conference’s 10 educational tracks, or “content studios,” looking at the topic not just in terms of off-site events but also across organizations, and especially in meeting and event departments. Other educational tracks included event strategy and design, audience acquisition and engagement, collaboration, innovation, leadership, and lifestyle. Each track offered about a dozen sessions over the conference's three days. In the time away from the show floor, many attendees engaged in social-responsibility activities that benefited Pittsburgh residents. For instance, ahead of the late-afternoon opening general session, a few hundred attendees supported local children and families in conjunction with Beverly’s Birthdays, a charity that provides birthday cheer for children experiencing homelessness and families in need. Volunteers created newborn-recognition packages for the "Itty Bitty Birthday Cheer" program, and also worked on a project to support the organization's baby/prenatal support program. Participants witnessed firsthand the impact of their work by interacting with young women and their babies. And for female teens in difficult living conditions, other volunteers assisted an organization called Period.org to put together care packages with menstrual-aid products. Period.org's founder, Nadya Okamoto, had a featured speaking slot at the conference to detail how she created the organization when she was just 16 years old. PCMA's next educational conference is June 25 to 28 in Los Angeles.